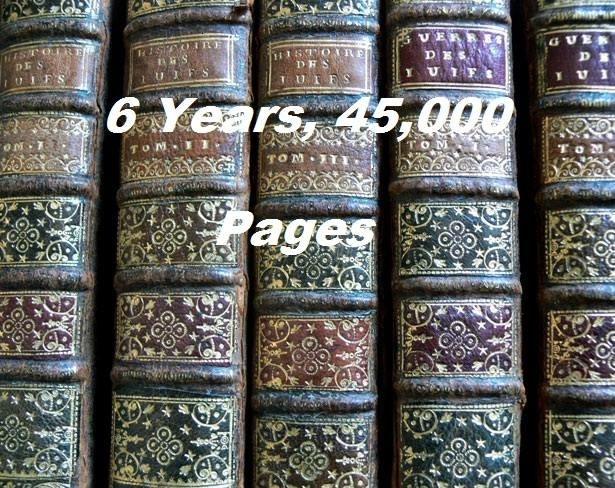 6 Years, 45,000 Pages: I'm baaaaaccck!!! Hello faithful readers. As promised, I am back in blogging land, and will shortly be back with an update on progress with The History of the English-Speaking Peoples. I enjoyed my mostly restful couple of weeks off. I finished up my finals so now I have just over three months before I start nursing school. During the two and a half weeks since I last posted, I have read (in no particular order): Salmon Fishing in the Yemen by Paul Torday (five out of five stars), All Roads Lead to Austen by Amy Elizabeth Smith (five out of five stars), Weekends at Bellevue: Nine Years on the Night Shift in the Psych E.R. by Julie Holland (three out of five), The Intern Blues by Robert Marion (three out of five), Is Everyone Hanging out Without Me? by Mindy Kaling (four out of five...actually I loved this book because I love Mindy Kaling, but objectively, it's just a four out of five. ), Heads in Beds by Jacob Tomsky (three out of five), Adulting: How to Become a Grown-up in 468 Easy(ish) Steps by Kelly Williams Brown (five out of five) and Trauma Junkie: Memoirs of an Emergency Flight Nurse by Janice Hudson (four out of five). Four out of five: Very good. I would recommend it. Three out of five: It was entertaining, but not anything special. Two out of five: Meh, not very good/wouldn't recommend. One out of five: I probably didn't finish it, or just I skipped to the end to see what was going to happen. I guess eight books in eighteen days isn't too bad. Anyway, they were all light reading, so my brain is all refreshed. Out of all of the above, I laughed the most reading Adulting, was most inspired by Trauma Junkie (I'm considering becoming a flight nurse after I finish nursing school) and objectively think that Salmon Fishing in the Yemen is the best one up there (and the movie with Ewan McGregor and Emily Blunt is fun and quirky and good). All Roads Lead to Austen a must-read for Jane Austen fans and I think they should make it into a movie. Maybe starring Julia Roberts or even Meg Ryan (is she still making movies) in the lead. But I digress. Anyway, I'm getting back into Churchill now and I'll give you an update when I have read some more. Finished Churchill. Your mentioning nursing school reminded me of a book I read years ago. We had a "book box" on the ship (exchange, etc.) I read them all, good or bad. One I remember was by a nurse named Echo Heron. I think it was called Intensive Care or ER or something. I really enjoyed it. Glad you're back! Thanks Joe! The book is apparently called Intensive Care: The story of a nurse. It's 6 bucks for Kindle from Amazon, so I'll have to check that out. Thanks for the recomendation, I love medical and nursing memoirs. Hi. I enjoyed Salmon fishing in Yemen immensely too. As you mentioned medical books, I've just finished Mondy Mornings by Sanjay Gupta. Not half bad. I believe you reviewed the book too. Now here's my problem. Towards the end, we read of the doctors receiving an unfamiliar number on their pagers. Then we have all the bad things happening to the main characters but the matter of the "unfamiliar number" was never addressed again. Did I miss something?